Waterloo Region is one of four cities currently bidding to host the 2021 Canada Summer Games. The upcoming games will be held in Ontario for the first time in 20 years since it was hosted in London in 2001. The Canada Summer Games, which started in 1967, provides an opportunity for Canadian provinces and territories to unify. It also gives athletes a first step into their competitive careers, allowing them to compete against other athletes in various provinces or territories, similar to the Olympics. All four cities — Ottawa, Sudbury, Niagara Region and Waterloo Region — passed phase one, which included a visit from the leaders of the Canada Games who were able to look at each city’s plans while conducting a technical report to ensure the cities are both strong and capable enough to host the games. The committee for the bid was brought together about a year ago by the regional tourism office who saw the bid as a great opportunity for Waterloo Region. The process continued forwards once the city councils of Waterloo, Kitchener and Cambridge voted to unanimously support the bids this past December. Teddy Katz, spokesperson for the team presenting the Waterloo Region bid, explained that the Waterloo Region is the perfect location for the games due to its tight-knit community. “Whenever we put on these events, the community tends to respond well. So we have a good track record in terms of hosting similar sporting events such as the LPGA [Ladies Professional Golf Association]; they’ve always been popular and well-attended, so we think this would make a great fit [sic],” Katz said. For Laurier students, the games will also provide numerous opportunities such as placements, internships and volunteer opportunities. As well, Laurier’s campus would be used as a focal point during the games due to its accessibility and compactness. Katz said that various students at Wilfrid Laurier University have gone on to participate in the Canada Games and even the Olympics. He mentioned Cheryl Pounder, a previous captain of the Laurier Women’s Hockey Team who participated in the Canada Games and twice in the Olympics. The games also brings forth immense benefits to the location in which they are held. For example, the chosen location will see an investment of six million dollars from the federal and provincial government to put towards sport and recreational infrastructure. “The investment will bring infrastructure up to the national standards needed for the games. If this money is going to be spent somewhere, we feel it would be best spent in our region,” Katz said. As well, the games have a solid track record for allowing the cities who host them to come out without debt or having to invest large amounts into infrastructure amongst other aspects. “The interesting thing is the games, in their 50-year history, have never run a financial deficit. And I think part of that is the size and scope of the games, how they’re smaller so we’re not talking about investing in the way that you would see in a larger sport events like the Pan Am Games or the Olympics,” Katz said. 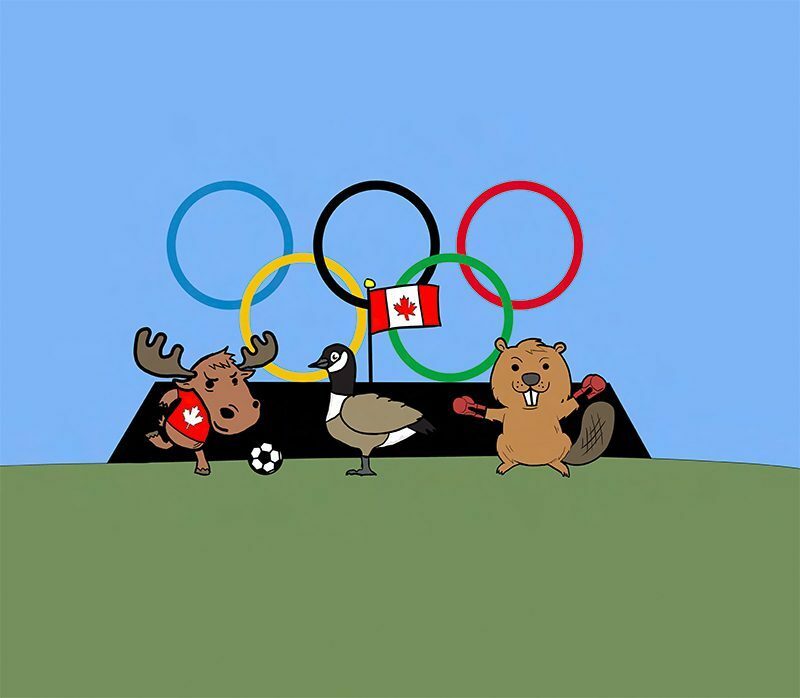 In fact, the Waterloo Region would have to build few buildings or infrastructures to host the games. Instead, the committee has planned to upgrade the existing facilities so that they meet national standards. For example, new tennis courts would be added to Chicopee Ski Resort and beach volleyball courts would be built at RIM Park.